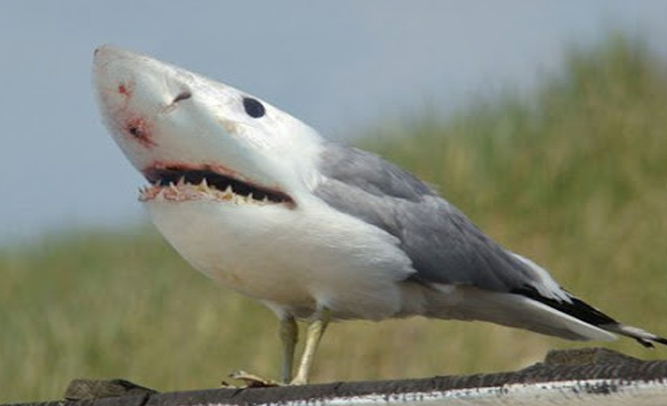 A newly discovered, extremely rare species of shark and bird was discovered in Costa Rica late last week, after a nature photographer was able to capture the hybrid in pictures. The new species, which scientists are dubbing a Shird, appeared in several photographs taken by the photographer, Joe Goldsmith, but so far has yet to be captured in the wild. So far, Goldsmith has said that he has not been able to find another example of the bird in the wild, although he adamantly claims that he did not photoshop the image.